Assistant professor Robert Colson of interdisciplinary humanities discussed the history of rock ‘n’ roll in Cambodia at an IC lecture for John Pirozzi’s documentary, Don’t Think I’ve Forgotten. PROVO, Utah (Sept. 22)—When you think about the history of Cambodia, rock ‘n’ roll is probably not the first thing that comes to mind. Yet according to interdisciplinary humanities professor Robert Colson, the vibrant musical history of Cambodia is a treasure worth preserving. 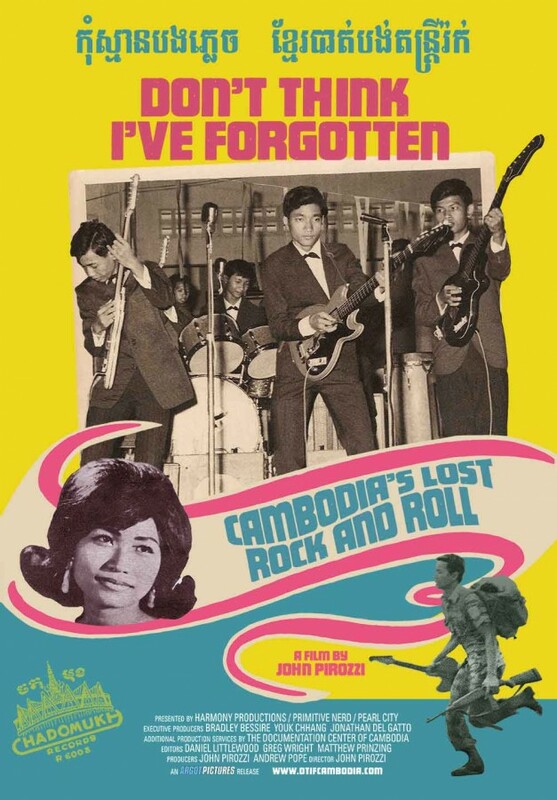 In the documentary film Don’t Think I’ve Forgotten, filmmaker John Pirozzi sets out to uncover the lost rock ‘n’ roll heritage of Cambodia, highlighting the history of Cambodia’s music scene before the devastating Khmer Rouge regime and Cambodian genocide of the late ’70s. Pirozzi attempts to retell the history of Cambodian rock ‘n’ roll through piecing together old photographs, music and footage from the ’50s, ’60s and early ’70s. According to Colson, however, the documentary is ultimately a narrative about loss. Colson continued that when Pirozzi first set out to make the film, many people told him that it would be impossible to find any footage, records or photographs, believing most of it to have been destroyed by the Khmer Rouge. What he found, however, was that many people had hidden away and treasured these objects for decades. Colson explained that the western influence on the musical culture of Cambodia dates back as early as the 1950s. Later, during the Vietnam War, American G.I.s would listen to popular American music on the radio, resulting in Cambodians also tuning into popular American music and implementing the rock ‘n’ roll style in their own music. Colson continued that though many Cambodian artists’ music demonstrated the western influence in their own rock ‘n’ roll, there was still a distinct Cambodian influence at play in the various melodies, harmonies, and instrumental styles that the Cambodian artists created. “The film itself is an interesting document of the impact that these things had on peoples’ lives, on their history, and on the way that this has been reconstructed,” concluded Colson.